Are you ready for the next health food craze? I'm willing to bet that Swiss Chard will become the next superfood people will flock to (after kale and cauliflower) once they realize how delicious and nutritious it is. Chard is one of the most nutrient dense vegetables available on the market. Plus its brightly colored leaves are much more attractive than those of kale. I should also mention that Swiss Chard tastes better raw than kale does (my brother likes it raw, I don't know how he handles it). 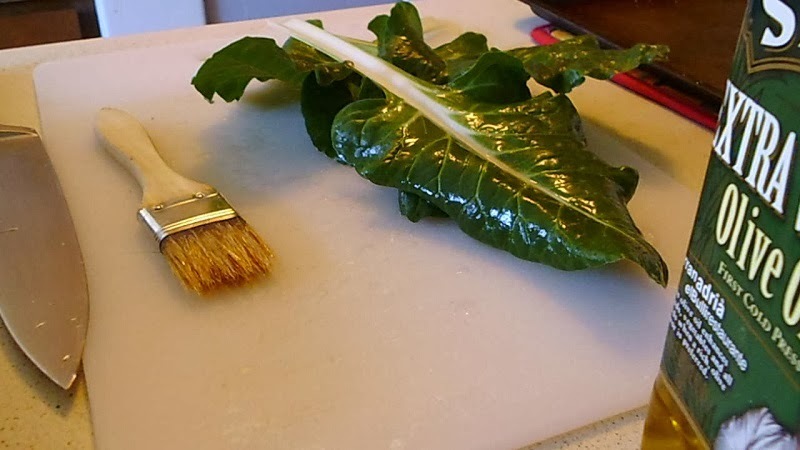 Since I have quite a few Swiss Chard plants in my garden, I've always been thinking up of new ways to prepare them. Those plants produce so much, I'm often overwhelmed. My favorite way of cooking them way was to stir fry them on the stove, but I am usually never in the mood to do that anymore. 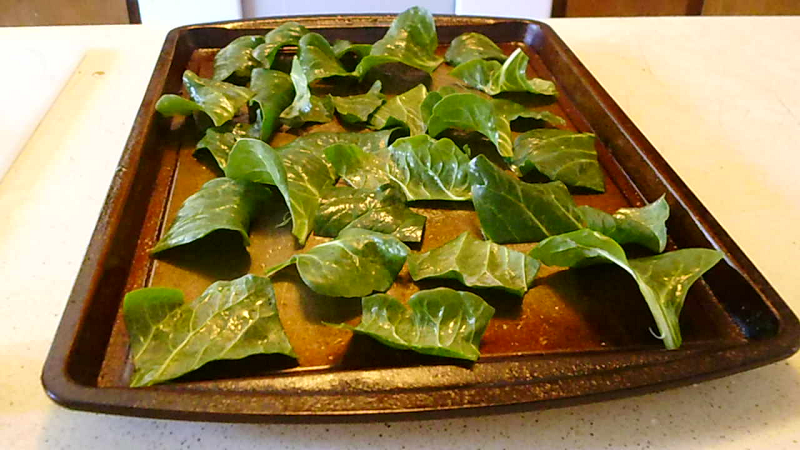 I decided it might be worthwhile to try baking the chard into vegetable chips, similar to how I like to eat kale. 1) Harvest and wash Chard. Set oven temperature to 275°F. 2) Chop off stems and set aside for later use. Cut out the middle rib. Cut into 1-3 inch squares. Place onto greased baking pan. 3) Lightly brush with olive oil, sprinkle with salt to taste. 4) Bake for 20 minutes. Whether you are a vegan or meat eater, these chips are so delicious that you'll want to make more. With this simple recipe, you'll be zooming to healthy town in no time. Give these chips a try and tell your friends about them. What about with the stems? You can parboil and then lightly toast them with cheese or throw them in a frittata or soup. Or you can chop and then fry them with other greens and onion.